It was all-pink everything last night at the launch of The BaR Premium Gin. From the neon lights to the clothes of everyone in attendance, the millennial pink trend was blown up to fun proportions. Held at The Island in Bonifacio Global City, the aesthetically pleasing looks of the place—and the gorgeous people in attendacne—certainly matched the taste of their new Pink Gin. Appropriately dubbed "The Pink Gin Party," the event served some delicious food, paired of course with a glass (or three) of The BaR's berry flavorful drink. But what captured our attention, of course, were all the pretty ladies partying the night away, most of whom were captured by the lens of photographer and frequent FHM collaborator, Andrea Beldua. 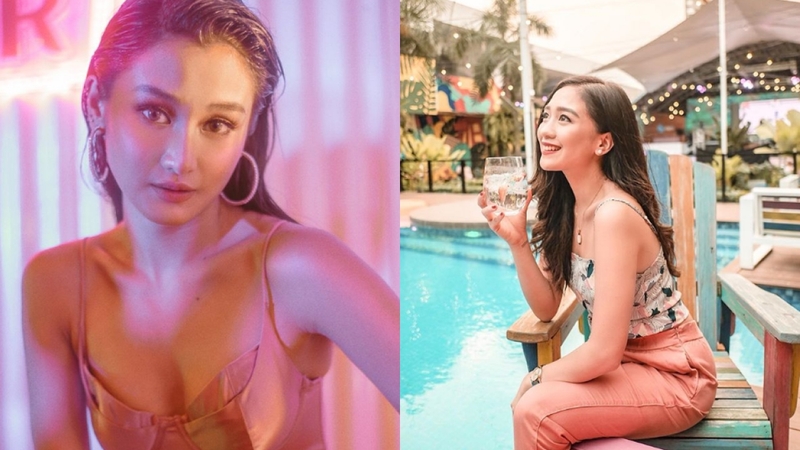 The vlogger extraordinaire had a (gin and)ton(ic) of fun with Chie Filomeno. Faye Balogo’s refreshing style meets a refreshing gin. Yanna has just made pink classier than ever. She drops the mic, we drop our jaws. Gorgeous, Marga. No wonder she’s the Most Influential Style Icon of 2018. A new gin for Chin. With Bea Alonsote providing some sick beats, the party just got better. Katt is taking a break from her escapades to chill with The BaR. These shots of Chie by Andrea Beldua perfectly define The New GINeration. There’s a whole new GINeration of head-turning talent and drinks heading our way. It certainly is their time, and this is most definitely their gin. Now, it can be yours, too. Cheers to a new pink beginning!